So, this next feature wasn’t really planned. I ended up building it as a bit of fun but also as a proof of concept to test out themes. And I kind of liked how it turned out. The next release of the U2 Upgrade includes a Commodore 64 theme. The color scheme used on the C64 port was noticeably different from the IBM and Apple II. 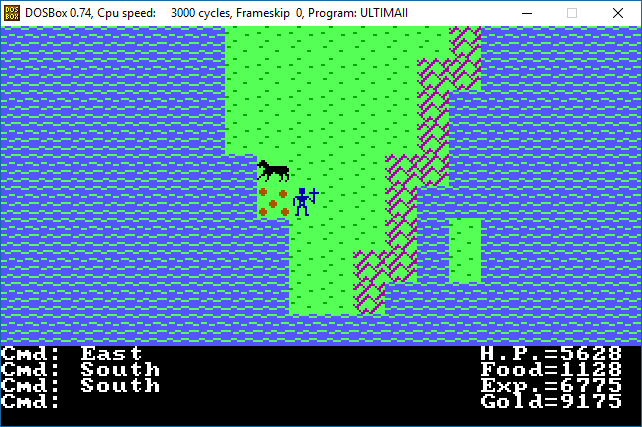 Tiles had blue or green background colors, which gave the game a much brighter feel. Other than that, pretty much everything else, including dungeon monsters, were all white. This exercise helped me isolate and split out colors that I hadn’t previously externalized. 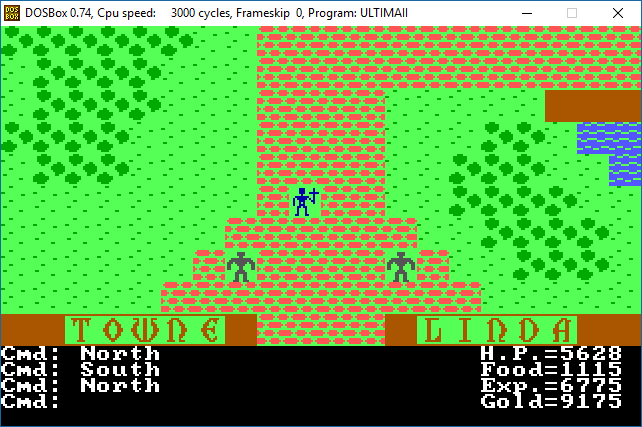 Previously, the driver contained all the color information for view helms, stars, dungeon monsters, and text. I’ve now externalized much of that into another theme file called EGACOLOR. The format for EGACOLOR is also now documented on the wiki. The C64 theme and EGACOLOR changes have now been fully checked into the v2.1 branch for the next release.